This year, I’ve had the pleasure hearing Josh Pollock talk about WordPress Development with the REST API on several occasions. Earlier this year, our paths crossed at WordCamp Atlanta and then later, we spent a lot of time hanging out at WordCamp San Diego. During the latter, I had a chance to hear him give his talk to a rather large audience specifically on how to use the REST API. And before any of that, I had a chance to read what Josh had written about the WordPress REST API for his eBook that was published on Torque. To say that Josh knows his stuff is an understatement. I know – that sounds a little bit “sales-like.” Though, I don’t mean it to be. When sharing resources with those of you who read this site, I try to make sure that I only sure things I use or that I promote things from people whom I know and who I trust. With that said, Josh is getting ready to begin teaching a session on WordPress Development with the REST API. Specifically, he’s going to be talking about how to build plugins using the REST API. Before his sessions and workshops begin, I wanted to make sure you’re aware of what’s to come. How is what Josh is teaching any different from what the topics mentioned above can offer? All of the above offer their own unique perspective and take on focusing on certain aspects of WordPress. What Josh is doing is know different. In this case, he’s talking WordPress Development with the REST API. This course is what you need to get started with modern WordPress development. It’s not just about the WordPress REST API, but obviously that’s a huge part of what I will teach. Hands-on workshops that give you time to actually write code using what you’ve learned. The breakdown of the content will work like this: Part of the content will be provided in the format of an online video course. One workshop will be held in Pittsburgh in September (the day before WordCamp Pittsburgh, actually). The second workshop will be in October. For those unable to make either workshop, the video course will shop with all of the code so that you have practice what you learn during the lectures. 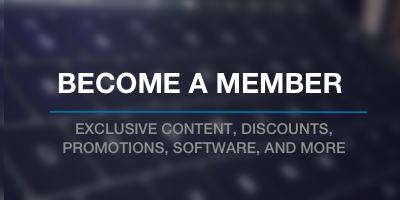 For those who are curious about any promotional material that comes with the course, you get 15% off the WPSiteCare Annual Protect Plan. Not bad, especially for those who are looking for a reliable solution when it comes to maintaining the security of and backups for their WordPress site or application. If you have any additional comments, questions, or anything else related to course this, please contact Josh directly on his page. I’m sure he’s more than happy to answer anything related to the course. Other than that, be sure to check out the actual course page and note that the course videos can be pre-ordered. This is not only a good way to go ahead and get the videos as soon as possible, but it’s a great way to help Josh get a head start is bringing this material to other people at some of the face-to-face workshops. 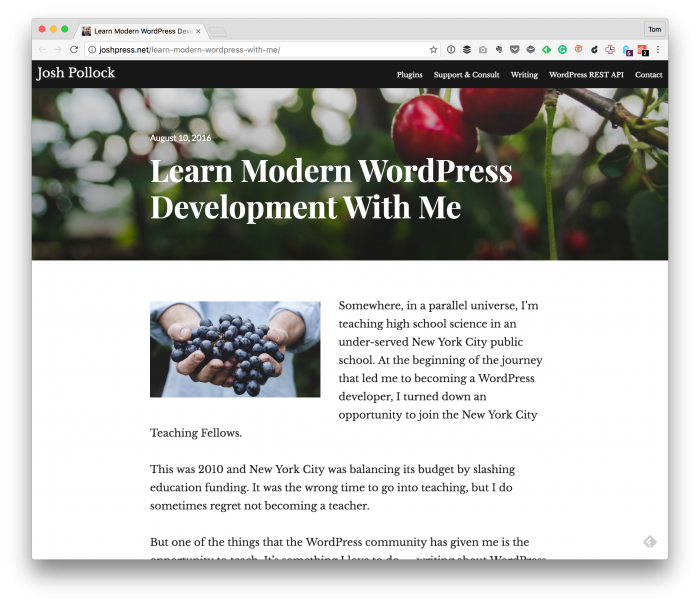 Personally, I’m excited to see something else like this cropping up not only because I love the educational material people who are involved in WordPress provide for others. But because this is a topic that should be of great interest to anyone looking to use WordPress in a way that will allow them to write some unique plugins and applications.